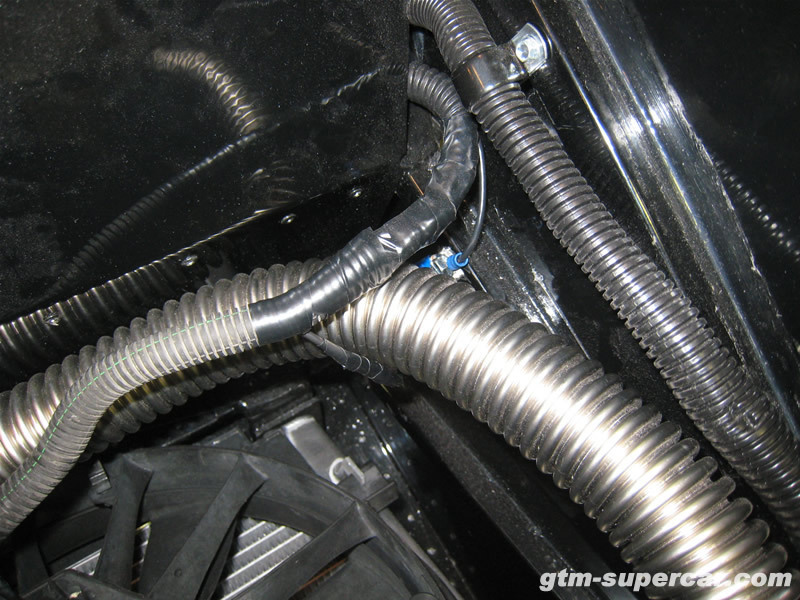 The GTM Supercar Build Log » Blog Archive » Cable Shift Routing, Cooling Fan Grounds, Misc. Cable Shift Routing, Cooling Fan Grounds, Misc. Not too much going on right now with the build. I shipped off the TAC module to Fparts today so they can send me a replacement. All the diagnostics I have done point to a faulty TAC, so hopefully the new one fixes the problems! In the meantime I fastened the cable shift gate cable to the frame and re-wired the cooling fan grounds. FFR’s instructions have you extend the black wire from the engine fuse panel to the black wire on the cooling fans, but in reality you need to ground the black wire coming out of the fuse box and also ground the black wire coming out of the cooling fan harness itself. I started piecing together the underbody skid bar system. This will protect the frame (and body) and keep the belly pans on as well without having to rivet them. Easy removal of the underbody panels will be nice! I also obtained a OBDII scanner from my friend Brian (THANKS!) which will help me diagnose things easier as time passes instead of having to wait for the loaner Tech2. 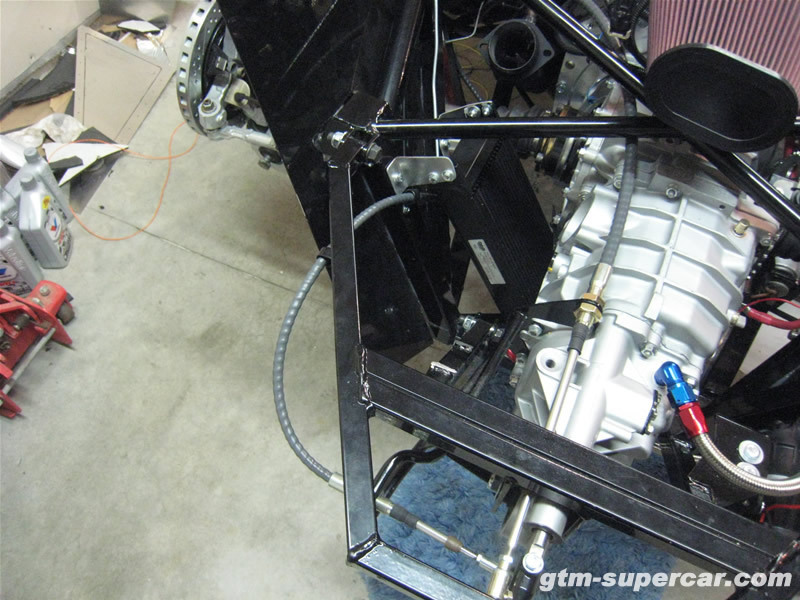 This entry was posted on Thursday, April 23rd, 2009 at 1:41 am	and is filed under Aluminum Panels, Skid System, Transmission, Wiring. You can follow any responses to this entry through the RSS 2.0 feed. You can leave a response, or trackback from your own site.